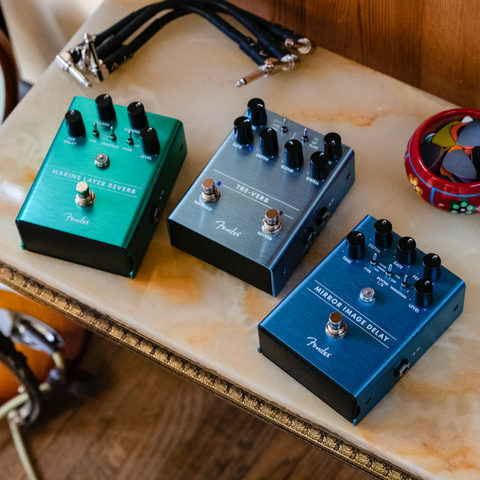 From passion project to Fender first, comes an original family of effects pedals. 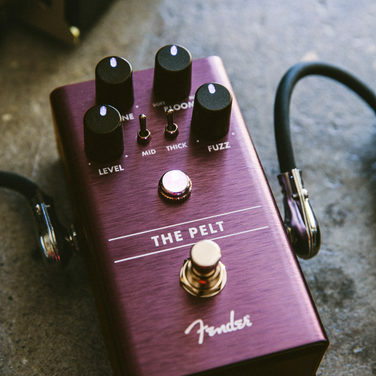 Designed from scratch in Southern California and packed with epic tones, these pedals present innovative features and unique twists that bring a new level of inspiration to your pedalboard. LED-illuminated knobs show your control settings at a glance—even on dark stages. Don’t want to see the lights? Not a problem—they’re switchable. 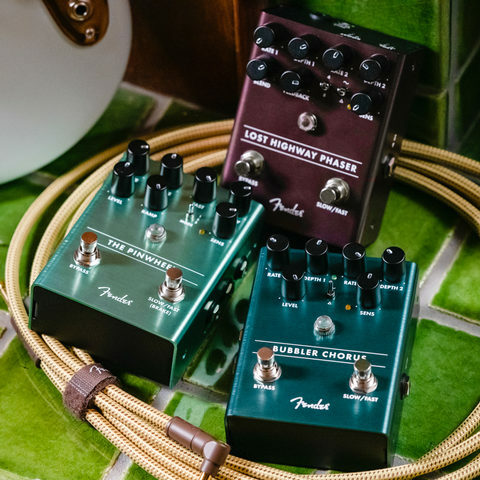 Designed by our in-house team of experts, these are all-original Fender circuits. We let real, live musicians kick them around, took their feedback to heart and refined them until everyone was satisfied. 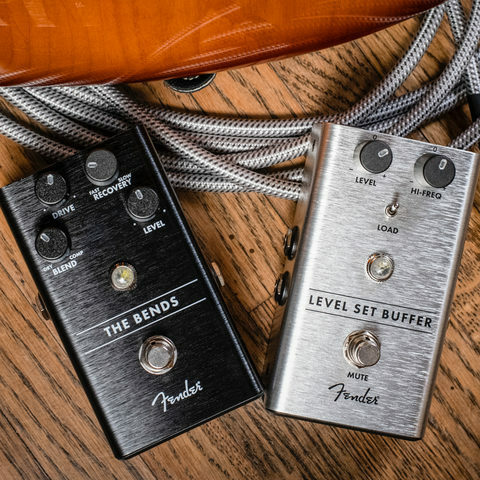 Every Fender effects pedal is crafted from lightweight, durable anodized aluminum. They’re ready to hit the road and perform, night after night. 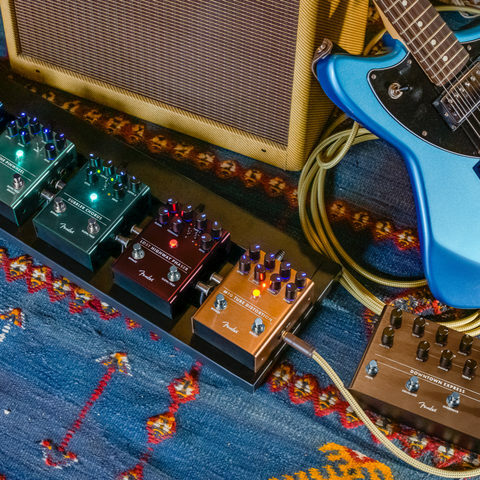 Add volume, overdrive or distortion to your sound—a little sonic attitude never hurt anyone. 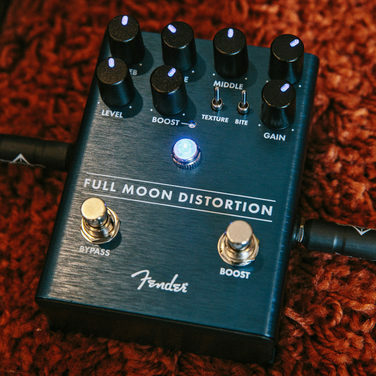 Thicken your tone, or add swirls/wooshes to your sound with these psychedelic-sounding effects. 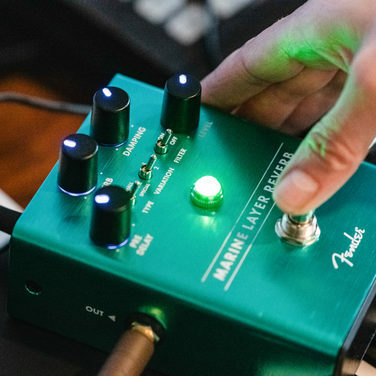 HELLO, Hello, hello…these effects add dimension and depth to your tone. 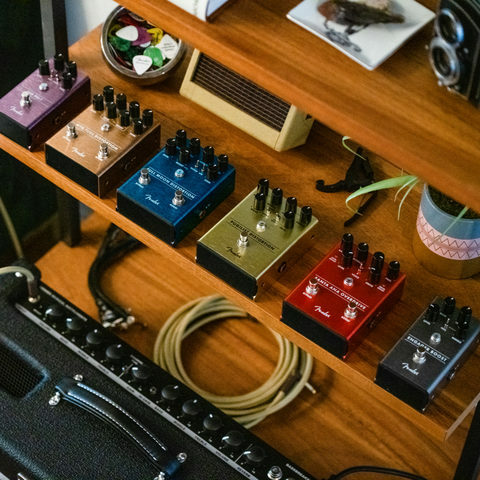 The foundation of killer tone, these useful effects smooth out your sound, or make it easy to tame you rig. 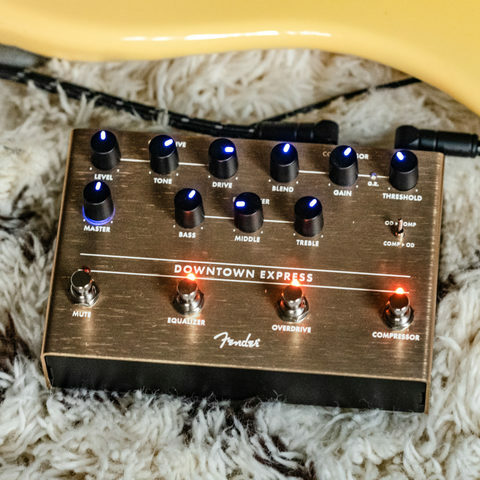 Designed specifically for basses, these effects are essential when you’re bringing the thunder.